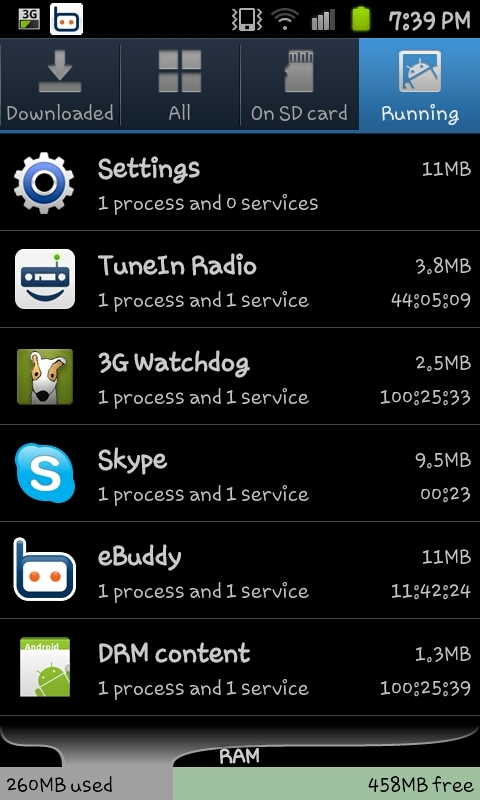 Although the Skype application on the Samsung Galaxy S2 is an excellent app allowing for free calls and free video calls however it is flawed and you may notice that even when you log out the app is still running in the background after you use it. This means that even though you are logged out and not using it the app will still be slowly draining down the phones battery and using up processing power. So to actually close Skype using just the phone you will need to go into the settings screen (press menu on the home screen) and follow the rest of this guide which will see you closing the process much like you would do on a computer. 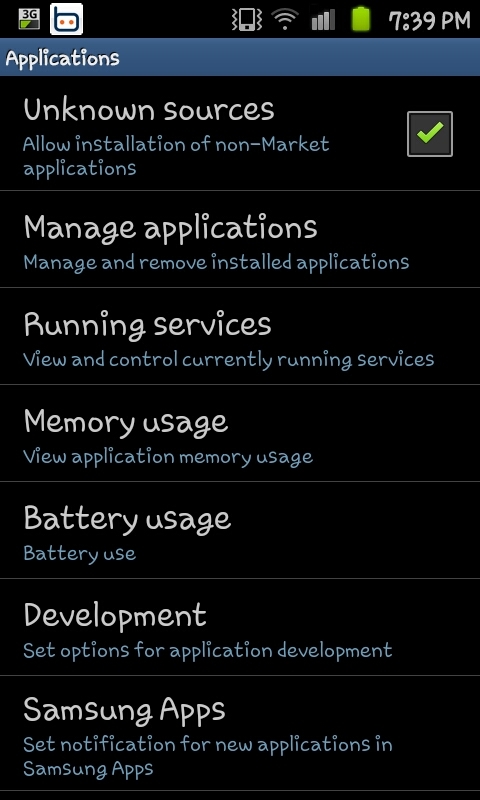 From the Settings menu you will need to select "Applications" option. it will be using up some of the RAM (which can cause other programs to run slowly) and cause the battery to drain slightly quicker. 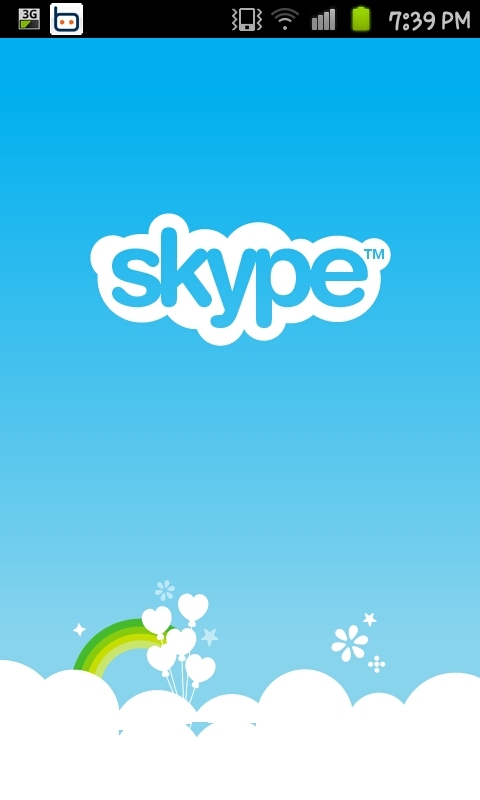 What you need to from this screen is select the "Skype" app. 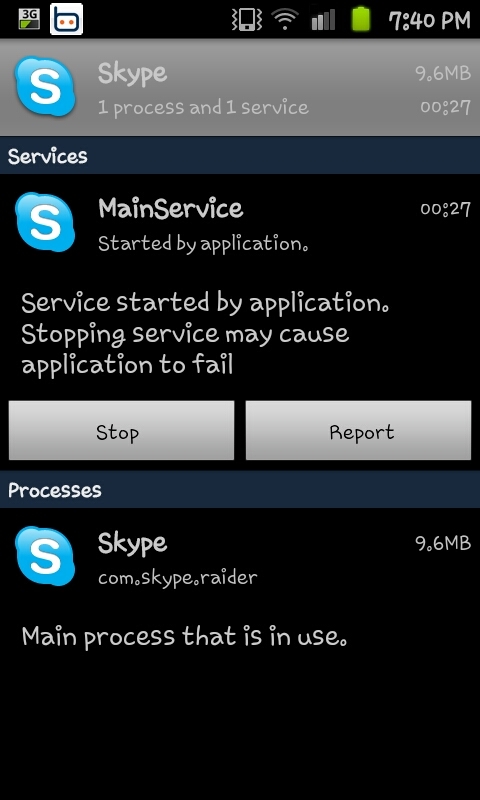 After selecting the Skype application you will see a screen like the one on the right hand side with the option to "Stop". 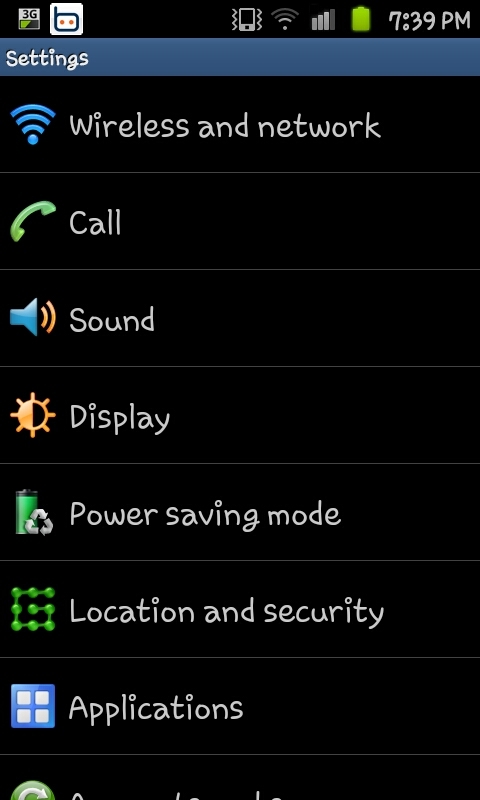 Selecting stop will close the application for good and help you maintain the battery life and the full processing power.